Canada's main stock index resumed last week's selloff by closing down slightly on Monday despite strong gains by the cannabis-heavy health sector just days before the drug's legalization. The markets are just trying to find a little bit of footing at the start of the corporate earnings season after last week's spike in volatility, said Craig Fehr, Canadian markets strategist for Edward Jones. North American markets lost ground during the day after ending Friday on the upswing following a few days of heavy losses. "I think we're going to get this kind of tennis match between the ongoing anxiety of the selloff and probably the positive news of corporate earnings and that probably can keep the markets bouncing around," he said in an interview from San Francisco. "I expect volatility to continue this week, probably not to the degrees we saw last week but I think the balance between those two forces at the moment are probably going to keep the markets a little bit on edge this week." 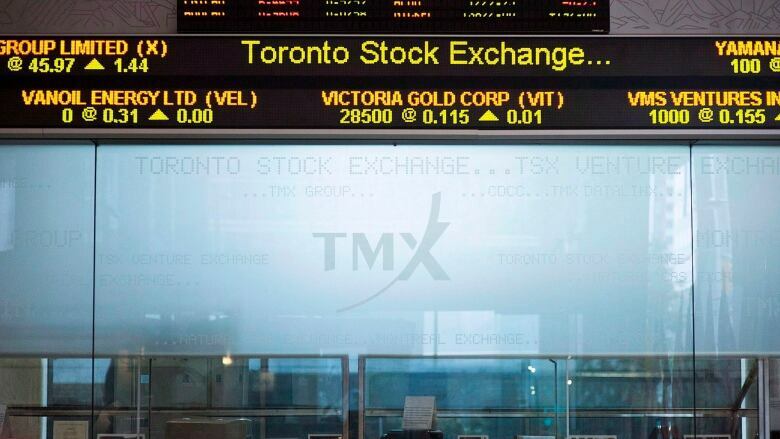 The S&P/TSX composite index closed down slightly, losing 4.82 points to 15,409.47, after dipping to a low of 15,398.47 on 246.8 million shares traded. The health care sector gained 6.7 per cent, followed by gold. Information technology, energy and financial sectors were the biggest losers on the day. Energy was down on some geopolitical concerns related to the suspected death of a Washington Post columnist after he had entered the Saudi Arabian consulate in Turkey. Most cannabis stocks enjoyed solid gains as the enthusiasm that has driven the sector higher continued. Fehr expects the exuberance will continue past Wednesday's legalization of recreational cannabis use. "I don't think that that has to necessarily come an end just because of legalization but I think the enthusiasm will wane once the kind of the shimmer wears off this newness to the growth story here." He said the momentum enjoyed by cannabis shares is very similar to cryptocurrencies earlier this year. "That can only last for so long," Fehr added. "At some point this sector, these companies are going to have to rely on growth, they're going to have to rely on revenues and profits as a driver of their stock prices." In New York, the Dow Jones industrial average was down 89.44 points to 25,250.55. The S&P 500 index shed 16.34 points to 2,750.79, while the Nasdaq composite was off 66.15 points to 7,430.74. Fehr warned investors not to look at the market volatility as the beginning of the end of the bull run because it's not driven by news about a global or North American downturn. "Instead I look at it much more as a healthy, normal type of correction that's just based off of some concerns about some trends that we've known about for some time." The Canadian dollar traded at an average of 76.96 US compared with an average of 76.7 cents US on Friday. The November crude contract was up 44 cents at $71.78 US per barrel. The December gold contract was up $8.30 US at $1,230.30 US an ounce and the December copper contract was down 1.2 cents at $2.79 US a pound.